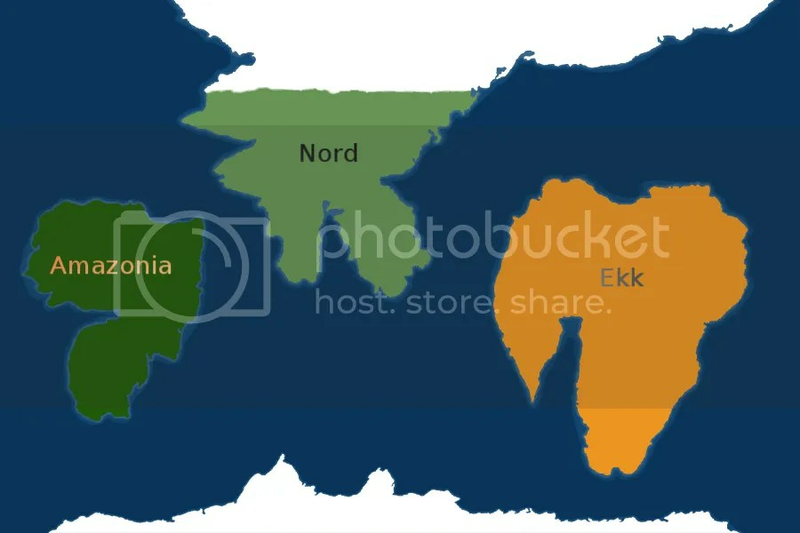 The three continents are Nord in the north, Ekk in the east, and Amazonia in the west. To the south is just a polar ice cap. It has not been explored yet, so we have no idea if there is land beneath it, or not. It’s bloody cold down there, colder than it is up in Nord. Rumours abound that it is a region of pure Khaos, but the more sane (or boring) think that this is just an old wives’ tale. For ease of use in BrikWars, one can surmise that Pekab is a Tek 4 planet.